Did you know that we use homophones everyday in normal conversation? A homophone is a word that is pronounced the same as another word but it is spelled differently and has a different meaning. (I did not put a knot in the rope.) There are thousands of homophones! For proof of that, check out Homophones and Homographs: An American Dictionary by James Hobbs. For young students studying homophones helps expand their vocabulary and increase awareness of the written word. You will be surprised how often they will bring homophones to your attention after this lesson. 1. Students will expand their reading, spelling and speaking vocabulary. 2. Students will recognize that words can sound alike but have different meanings (e.g., homophones such as hair and hare). Here is a list of 75 sets of homophones! Download a copy of the list here. “Can you guess what a homophone is?" “Do you hear that the words sound the same?" When they understand the concept it is time for the activity. Pass out the file cards that you have prepared, one per student. Make sure that each card has a match. Ask the students to roam around to find another student holding the matching homophone. When everyone has found a partner, each pair of students must be able to present their homophones to the class. Allow a few minutes for the partners to discuss the words. To present to the class they must say the word, point out the difference in spelling and explain the meaning of each word by using it in a sentence. Read the book The King Who Rained by Fred Gwynne. Introduce the book as a fiction book. Read the book straight through one time. Then read it again discussing the homophones in the text. Write pairs of homophones on the board. As a writing assignment instruct the students to choose a pair from the list. Then write two sentences, one sentence for each word, using it correctly. Then illustrate. Use the downloadable worksheet for homework or as an assessment activity. Play a memory game using 10-12 pairs of homophones. Use the file cards you had prepared previously. Making sure the cards all have a match, place them face down. Players take turns turning two cards over and trying to find a match. The player with the most matches wins. Gwynne, Fred. The King Who Rained. Aladdin, 1988. Hobbs, James. Homophones and Homographs: An American Dictionary. McFarland and Company, 2006. Cleary, Brian. How Much Can a Bare Bear Bear? Homophones and Homonyms. First Ave. Editions, 2007. Barretta, Gene. 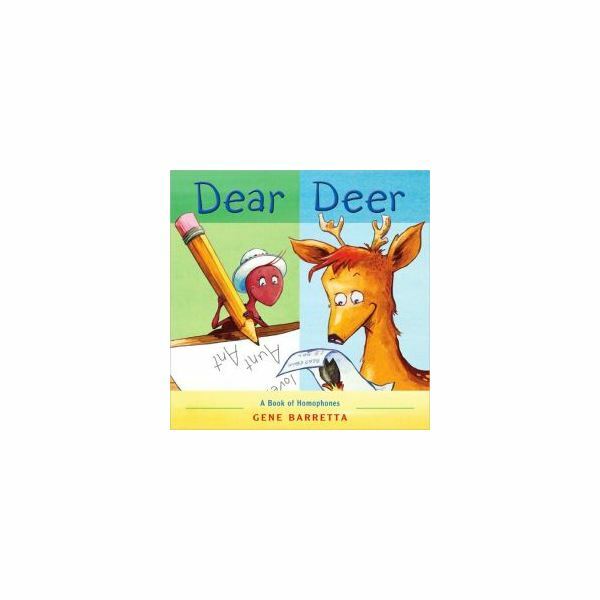 Dear Deer: A Book of Homophones.Henry Holt and Company, 2007.